Tip #1 - Expand several images at the same time. 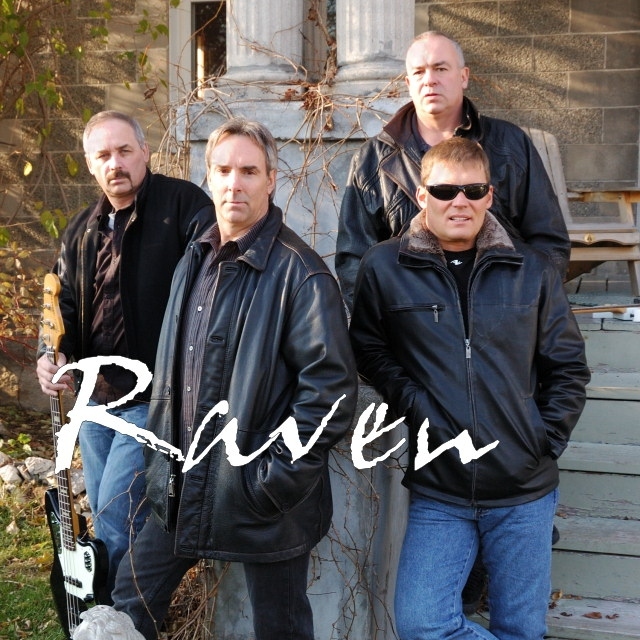 Raven is a rock band. 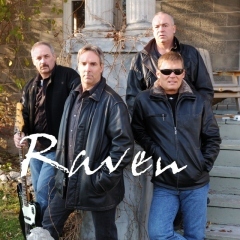 This was prepared as the cover for the CD in their press kit. Notice the little camera icon, just below and to the right of this caption. Click on that to look at the technical data. You CAN expand serveral images at once. Try it on this page. Click on any one of the thumbnails on this page. Leave it expanded. Now click on another. Now click on a third. With the images expanded, you can move them around, placing one beside the other to compare them. This feature of the web site is really helpful if you are trying to decide on your favourite picture, the one you are going to hang over the fireplace. This feature is very cool and actually pretty rare in photo web sites. It's also one of the two reasons that the page doesn't come up as a slide show. BUT, if you want a slide-show effect, you can use the arrows on your keyboard to flip through the expanded photos. You have to expand the first photo by clicking on it. Then move from expanded photo to expanded photo with the arrow keys. Tip #2 - Look at the Technical Details. While you have an image open, look down, just below the caption. You will see a little camera icon. Click on the icon to open a pop-up window that explains all the geeky stuff. Here you will learn the exact time and date, the lens chosen, the sofware used, the kind of lighting and other stuff like that. I may also add editorial comments about the creation of the image. Tip #3 - Control Your View of the Thumbnails. 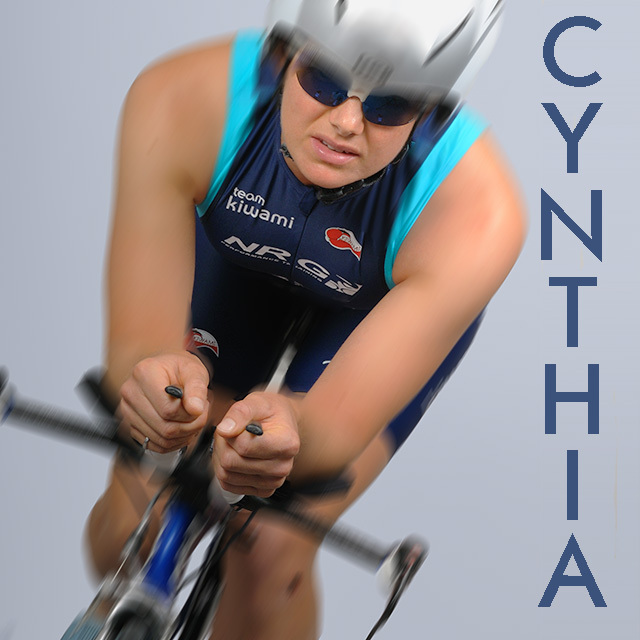 This is a studio shot of triathlete Cynthia WilsonLook for the camera icon just below and to the right of this caption. If there isn't one there, there are no technical notes. If you're one of those people with lots of disposable income, you probably have a Macintosh with a 27 inch screen, and my web site looks pretty tiny on it. Well this tip will change that. If you're a little bit computer-savvy, open a new tab in your browser to try this. If you're not, you'll have to remember what I write here and then click on Return to Galleries. Pick a gallery, maybe Serious Favourites. Once you have clicked over to that gallery look at menu items, find and click on Set Your Display Preferences. While you're at it, you can change the number of images on each row of your display. That should help to fill up your humungous screen! By default, the image titles are not shown when you look at a gallery's page of thumbnails. That's simply because it's not very pretty, and the page isn't all that pretty to begin with. IF, however, you are trying to choose photographs from a shoot, it will probably be very helpful to have the titles displayed. That way you can make notes, or return more readily to an expanded image. Again, pick a gallery. Once you have clicked over to that gallery, click on Set Your Display Preferences. There you will find an option which sets the gallery pages to display the image titles. You can UNset this option when you want, but, in any case, it will revert to not showing the titles the next time you open your browser. Tip #5 - Become a Registered Visitor. Both thumbnail and medium format images expand into the same size larger version. Galleries of images come and go. But they are not always deleted. If there are images that you want to come back to see, perhaps the Perth Triathlon, or Ironman USA, ask for an account. Every account is arranged to meet the interests or needs of the registrant. That's how people can see their whole portfolio of proofs without it being shown to the world. There is no on-line method for creating your own account. You'll have to contact me. Incidentally, notice that the image is truly expanded. There is no smaller image behind the expanded one. This rest of the site was created by me. It uses PHP as the scripting language and MySQL as a database. There is, of course, an administration panel where I can create and name sets and modify the captions and technical data of the images. This web site is a work-in-progress, but the work doesn't have a fixed schedule. Normally the work is done when the urge to add or improve something becomes really strong. Ironically, one of the things I must do is add a slide show, just to keep everyone at home happy. Posted November 15, 2010 at 1:39 pm.